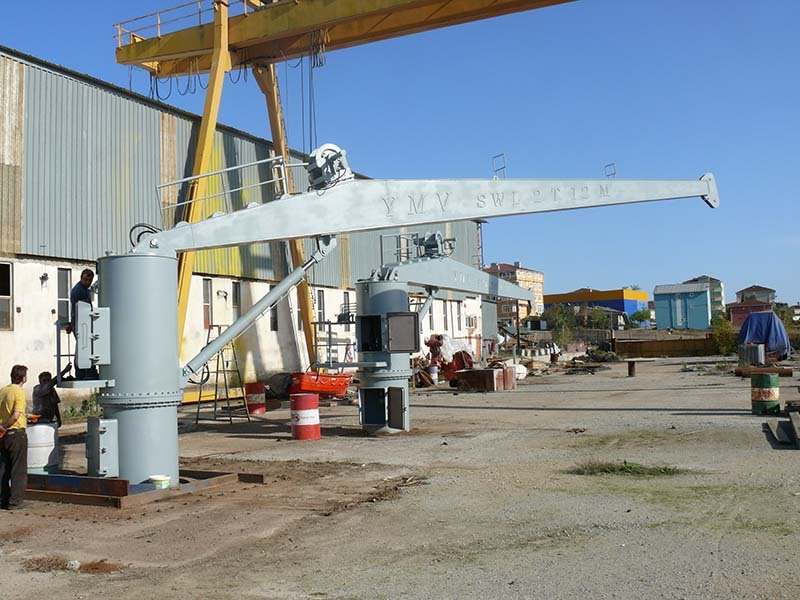 YMV service and hose cranes are designed for trouble free operation in hostile marine environment. To obtain the maximum performance, all components are selected for long life in marine environment. Our cranes are manufactured electric or hydraulic driven, fixed, knuckle or telescopic boom options are available. According to different industry needings our cranes are suitable for operation under hazardous and explosive environment conditions If the customer requires, classification certificates from different survey authorities are available as an extra. YMV service and hose cranes capacity range is between 1-10 T and boom outreach can be upto 25 Meters.